Can Cali Hit $110 Mil Gross – $30 Mil Tax Rev – in its 1st Week of Legal Cannabis Sales? Up on the North Coast, we take cannabis seriously. So when our northern neighbors – Oregon – gross $11 million in their 1st week of legal cannabis sales, it gets us thinking. The North Coast – consisting of the Emerald Triangle (Mendo, Humboldt, and Trinity Counties) – produces a large chunk of California’s cannabis, and as legalization looms, our community contemplates boom or doom. So we crunched the numbers and the results aren’t gloomy at all. Based on population, California is about 10 times larger than Oregon, and based on anecdotal evidence, Cali must have similar demand for cannabis (if not greater). Therefore, if we use these numbers, California would gross $110 million in its first week of legal cannabis sales. 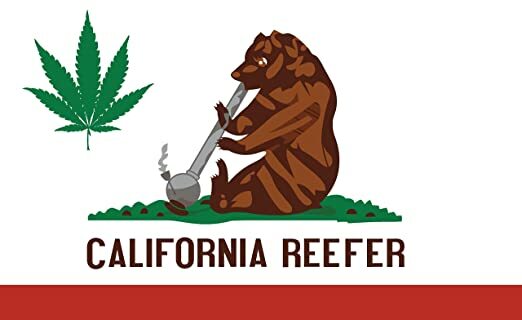 Delving deeper, utilizing the taxation framework provided by Reform CA’s newly filed cannabis legalization ballot measure, California would net $30 million in tax revenue. This might be a rough estimation but one cannot deny that legal cannabis will be big business in California. This entry was posted in The Industry and tagged California, Cannabis, Cannabis Industry, Emerald, Humboldt, Marijuana. Bookmark the permalink.